TBM | What Does TBM Mean? 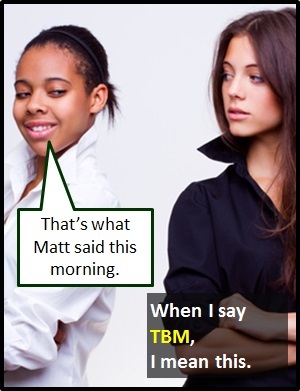 TBM means "Tactical Boyfriend Mention". The image shows a girl namedropping her new boyfriend's name into a conversation to make the point that she now has a boyfriend.